In food photography, the background is very important. It can make your food image more or less sophisticated or rustic. When I wrote my second book, “Panini Golosi” (Scrumptious Sandwiches), published by Gribaudo, I deliberately focused on the backgrounds to give the different character to the sandwiches being photographed. The book contains almost 100 recipes, divided into categories: cured meats, vegetarian, fish and sandwiches of the world. 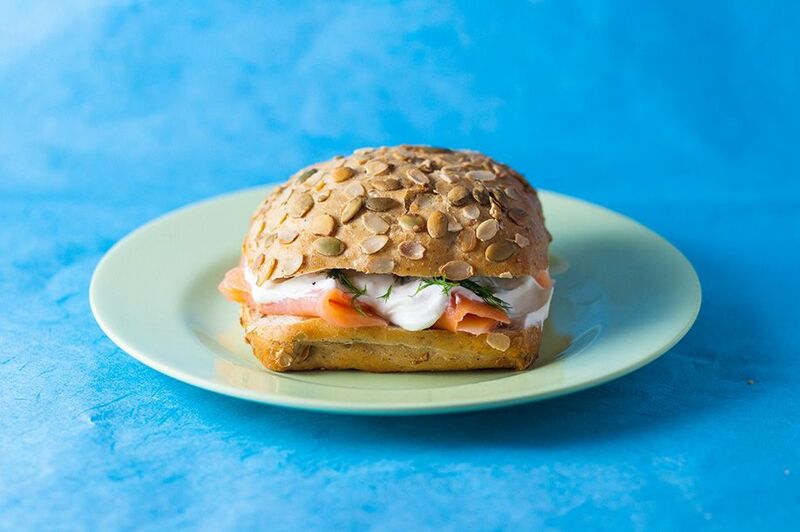 Each sandwich is also characterised by its background. 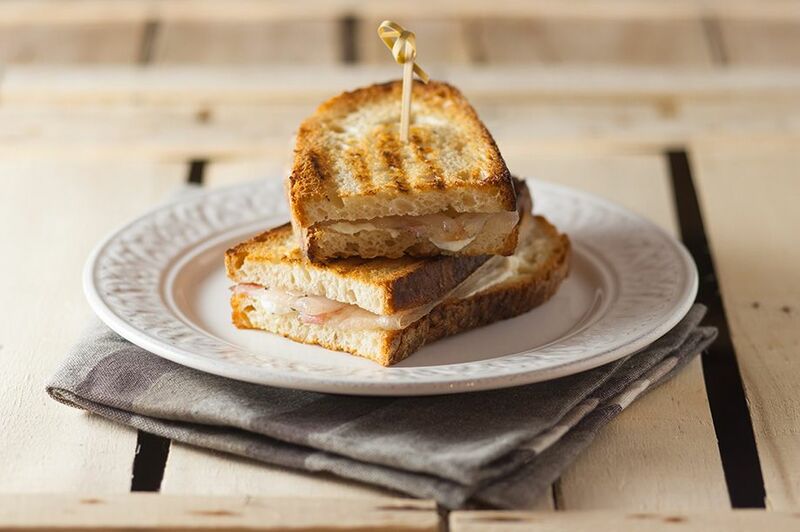 Sandwiches with meats are more classic, more rustic, if you like. They are mostly sandwiches to eat on trips out; full and satisfying. In this case, I used old, wooden fruit crates as a background. I wanted the surroundings to be a bit coarse, to give the sandwiches a rustic feel. This next one is one of my favourite sandwiches in the book. 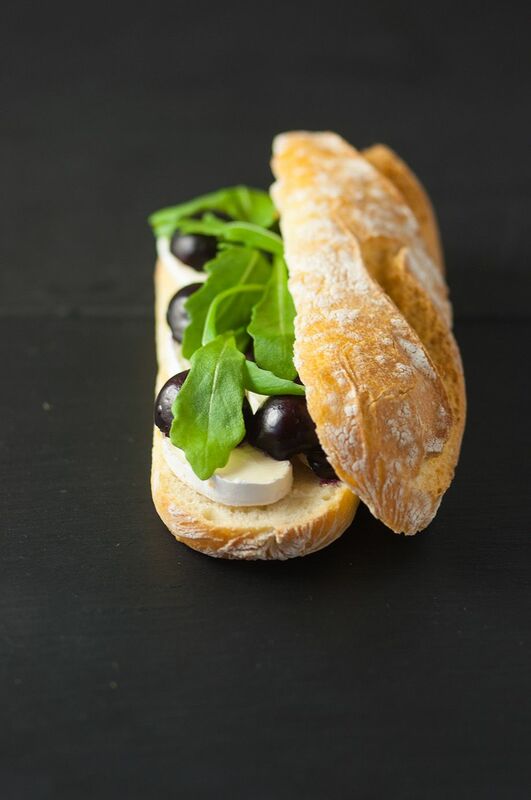 It is made with toasted country loaf with lard and honey goat’s cheese. You could say that it’s my forte and I’ve always prepared with success during the various presentations. Again, in this case, the wooden crate background makes the image very rustic. Moving on to more gourmet sandwiches, I wanted a more sophisticated background: black slate. 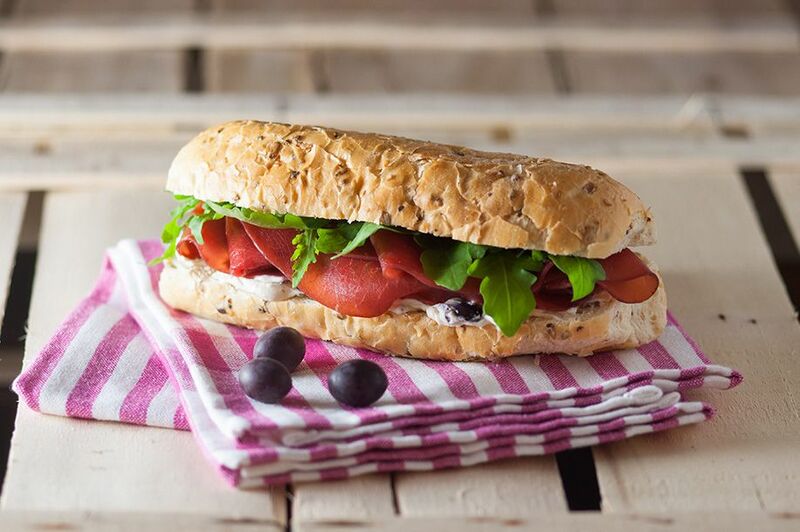 This type of background makes the sandwiches more elegant and thus conveys a sense of sophistication. In the following sandwich, too, there is a fruit-cheese combination. 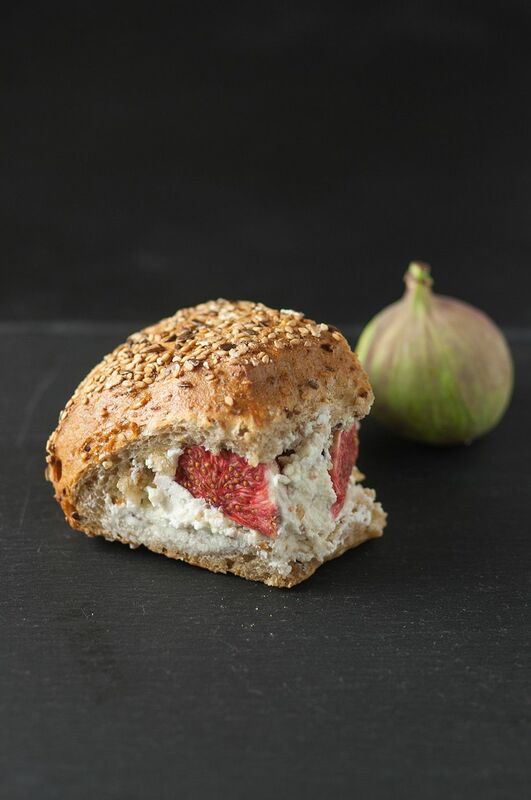 In this case, seeded bread filled with goat’s cheese and figs. The black background brings all the colours to life. Let’s move on to the brighter, fresher backgrounds; those suitable for lighter sandwiches with vegetables and fish. My final background is light blue and slightly blurred, to photograph fish-based sandwiches. 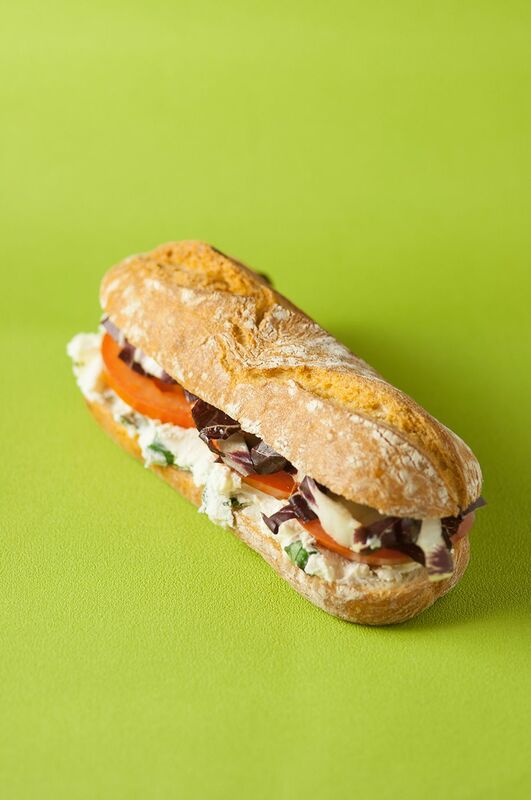 This blue is the quintessential colour of the sea and thus the most suited to surrounding this flavour of sandwich. In conclusion, my advice is to play around with you backgrounds to work out which colour best enhances a food, based also on the final image you want to achieve. Marta Tovaglieri has been blogging since 2008 with ‘Una Streghetta in Cucina’ (Little Witch in the Kitchen), in which she discusses food, travel, children and much more. Her job in fashion is reflected in her cooking: simple and quick but always with careful presentation. If she’s not in the kitchen, you can find her online.